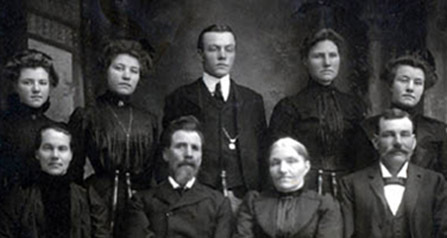 This page will discuss the family of John and Raghnild (Rose Johnson) Stangland. Funeral services were held at Zion Lutheran church In Albion Monday afternoon at 2 o'clock for Mrs. John Stangeland who passed away in California and was brought back to her old home community for burial. Rev. John H. Beckmann conducted the services. Burial was made at South Branch. 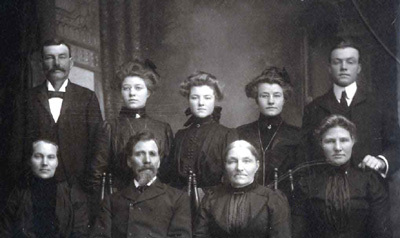 Mrs. John Stangeland, nee Ragnild Johnson, daughter of Sven and Sigri Johnson, was born at Stanton, Nebraska. Oct. 28. 1869, and died after a long illness at the home of a daughter in Ojal, California, September 10, 1945, aged 75 years, 10 months and 13 days. 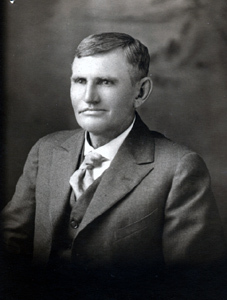 She was united in marriage to John Stangeland In 1888 and they made their home in Boone county, first in the South Branch community and later In Albion until the death of Mr. Stangeland 12 years ago, since which time the deceased has made her home in California with her children. She was baptized and confirmed in the Lutheran faith and to this faith remained steadfast to the end, always giving freely of her time and talents to the church. well as by her parents. Mrs. Ida Johnson of Scottsbluff. 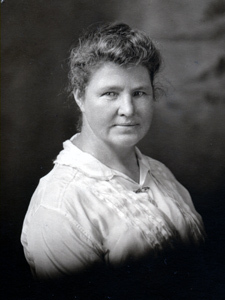 Mrs. G. I. Nelson, Madison. The pictures below, of Rose and John Stangeland, were taken at their 25 wedding annaversary. 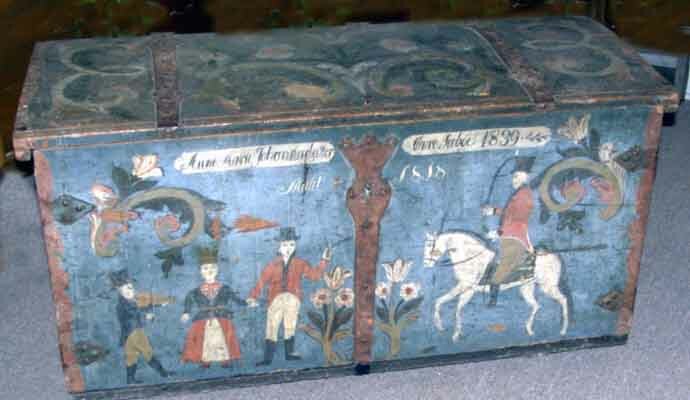 The Norwegian chest pictured below was used on the trip to "America". It is now owned by Wilma Tschudin, a grand daughter of Rose. 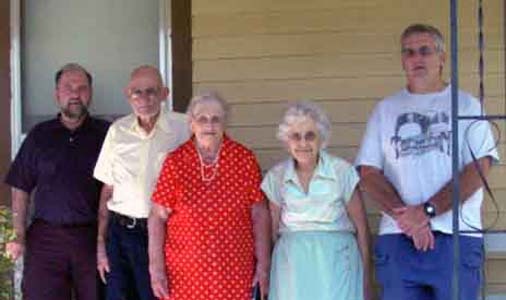 The picxture delow was taken in 2004, l/r: Gene Johnson, Don and Clara Munger, Wilma Tschudin, and Arlen Tschudin.